UPDATE [2013-04-12]: AMSOIL has tested their Signature Series Fuel-Efficient Synthetic Automatic Transmission Fluid (ATL) and approved it for use where Mitsubishi J2 fluids are required. I stopped in at the dealership to pickup an engine air filter and 5L of DiaQueen J2 at the parts desk – I only used 4L but wanted to make sure I had a little extra. At home you’ll need a 14mm socket for the plug. I put the vehicle up on ramps since I was doing both the transmission and the oil at the same time. 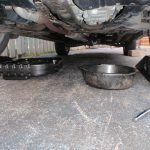 You may want to as well for the first time you drain and fill the transmission – but once you know where the plug is it’s easily accessible without ramps. 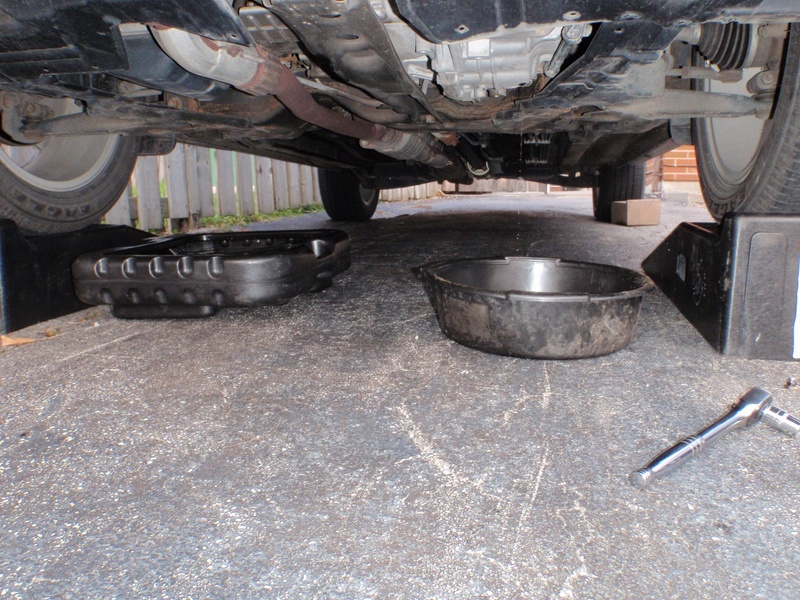 Do not be tempted to undo the transfer case drain plug which is near the back of the engine in the middle. The transfer case drain plug on my vehicle uses a hex key which makes it easy to distinguish from the transmission drain plug. The transmission fluid drain plug is located on the passenger side near the front wheel and is a simple bolt head. I measured 3.75L of fluid that drained out so I put that amount back in but overfilled the case. 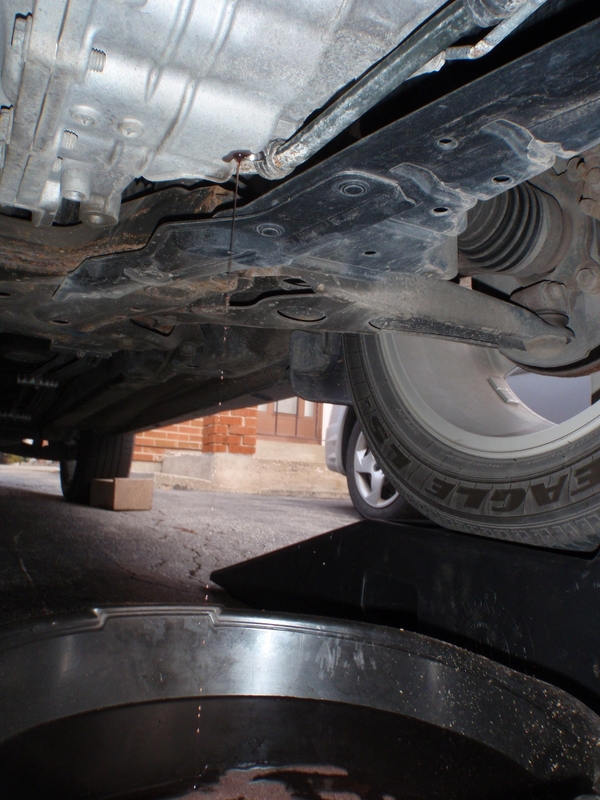 Using the drain bolt under the vehicle I adjusted the fluid level to be between the lines over the next few days. The dipstick is hard to read, requires a flat surface and time for the fluid to return to the sump. Next time I’ll fill with 3L and then add and check until I get to the high mark on the dip stick. I’ve read online that it’s around 3.2L you can expect to drain out. 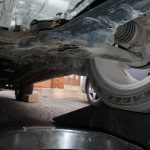 Be sure to check the level again after you’ve started the car and again after you’ve driven for a while and the pump has had time to get any air out. Do not over tighten the bolt when you re-install it. The transmission is aluminum and over-tightening will strip the threads. I snugged up the drain bolt using my large socket wrench. The online service manual may have a torque value that is too high. Here are some pictures of the drain. You can see the bolt with the rubber gasket on the threads just above the socket wrench.